Eliminate the possibility of transferring a plastic taste to your beer. 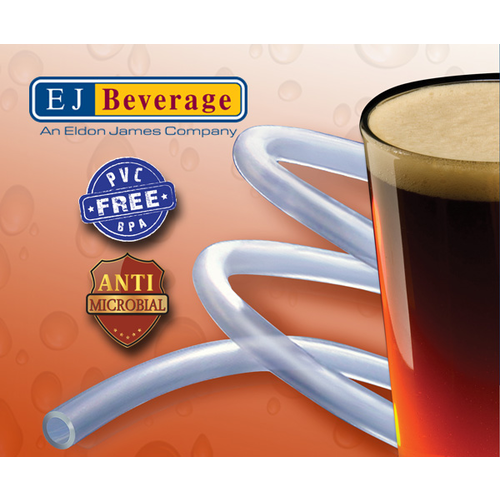 EJ Beverage's Ultra Barrier Silver(TM) beer tubing has changed the game when it comes to keeping your beer tasting great. 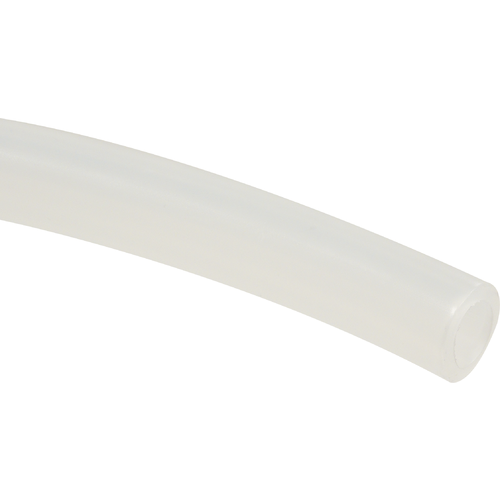 This tubing has a silver lining that eliminates the growth of the top 4 beverage spoiling bacteria for up to 2,000 liters of flow. It is also PVC and BPA free, which means no plastic taste will leach into your beer. 1/4" is used in beer lines that are 10-25' in length. It is also used as gas line when you want a really tight fit, particularly with homebrew quick disconnects. Soak 1/4" line in hot water before attaching to larger 5/16" fittings. Technical Specifications: 1/2" Outer Diameter. 1/4" line provides .65 lbs of restriction per foot. Ideally pounds of resistance should equal pounds of applied pressure. 1/4" line holds 1/3 of an ounce per foot. PVC Free. "By the Foot" quantity ordered will be shipped as a single uncut length.